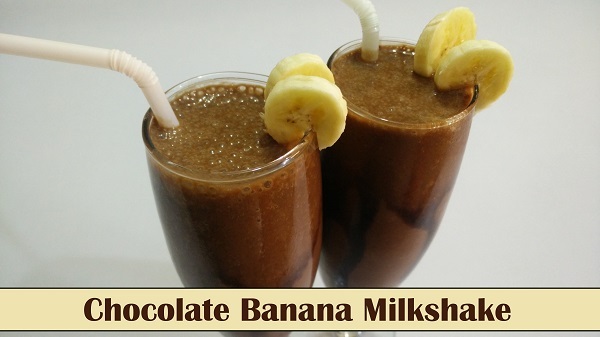 Chocolate & Bananas blended together perfectly to get a rich & tasty Chocolate Banana Milkshake. It is one of the easiest & healthiest Milkshake recipes that can be made in less time. Learn how to make this delicious milkshake in this video recipe. Peel and cut bananas, and add into a blender. Add 1 tbsp. Chocolate Syrup. Add Ice Cubes before you start blending. Decorate serving glass with Chocolate Syrup. Pour Milkshake in serving Glass. Serve Chocolate Banana Milkshake with a straw.